Greetings from New England! As I write this column on Memorial Day, the temperature is 50 degrees, overcast, and everyone around here is wondering if/when spring will arrive. This has been a cold and wet time in New England. That said, proof that there is indeed a spring was reinforced with this year’s Hamvention, which took place at a new venue, the Greene County Fairgrounds in Xenia, OH. While Hamvention did experience some serious thunderstorms, that did not dampen the spirits of the attendees. And despite the rain, the temperatures were higher than when I left Boston. The Dayton Amateur Radio Association (DARA) successfully pulled off the transition from Hara Arena to the Fairgrounds, and everyone I’ve talked to is impressed by the results. Some glitches occurred, such as the traffic jam on Friday morning getting into Fairgrounds. Cars were stuck in the mud both in the flea market and the general parking in the soccer fields due to water accumulation from the storms. And even despite long lines for the food vendors, these issues did not appear to create an overall negative impression. After the Friday morning traffic problems, county officers made adjustments to the traffic flows to reduce congestion leaving Friday evening, as well as ensure a smooth traffic flow on Saturday and Sunday. This year’s Hamvention was unique because EVERYONE was a “newbie” at the new location. Even those of us who have attended Hamvention for 35+ years had to start all over again learning how to get to Hamvention, the locations of the 250+ commercial vendors, along with where to find the food vendors and what they were offering. The new venue certainly provided a county fair atmosphere. For AMSAT, the transition to the new venue provided a fresh opportunity to rethink our booth setup. We worked with Hamvention officials to ensure an effective location for our satellite demonstrations. Our Hamvention Team Leader, Steve Belter, N9IP, worked with Hamvention Indoor Exhibits Chairman Brian Markland, N8UDQ, who bent over backward to accommodate us. Their efforts resulted in an outstanding location for the AMSAT exhibit area (8 booth spaces) in Building 1 that took up the entire aisle to one side to the main entrance which also provided an opportunity to place the satellite demo area on the outside wall opposite from our Engineering Team, Education, and ARISS areas. We had plenty of space to highlight AMSAT and the activities that we’re engaged in, offering a variety of “satellite fashions” and satellite antennas, handling new and renewing memberships, and demonstrating satellite tracking software. Providing directions to the satellite demo area was a simple, “Go out the main door and make a right.” Paul Stoetzer, N8HM, and his team were masterful in demonstrating satellite contacts to crowds of people as they worked the various linear and FM satellites throughout the weekend. The 2017 edition of “Getting Started with Amateur Satellites” was offered for the first time at Hamvention and became an instant best seller. The new AMSAT polo shirt, t-shirts, and cap were hits. Thank you to the number of individuals who staffed the booth, answered questions, processed memberships, and handled the satellite demonstrations. Kudos to all! Steve Belter, N9IP, successfully transitioned AMSAT to the new venue and ensured that our volunteers became familiar with the new setup. We had plenty of volunteers to help setup on Thursday and take down on Sunday afternoon. Thanks to Steve’s leadership during Hamvention, I wasn’t aware of any significant “oops” that took place at the AMSAT booth. Having Steve as our Team Leader certainly provided steady leadership as we adjusted to the new venue. The AMSAT Forum that took place Saturday morning was well attended with a packed house in a room with over 250 chairs. Unlike our experiences in Hara Arena, where the Forum took place in a room with curtains for walls (allowing noise from the Hamvention commercial area in Ball Arena to compete with the Forum’s PA system), our space this year was in a separate building. Our presenters provided attendees with information about AMSAT, our engineering programs, an overview of current and soon-to-be-launched satellites, educational outreach (“NextGen Crystal Radio”), and ARISS. My thanks to Joe Spier, K6WAO (AMSAT V. P. of Educational Relations), for serving as our Forum Moderator. With another Hamvention in the record books, my thanks to Steve for his four years of service as our team leader. Steve has informed me that he is stepping down as our team leader, and we’ll be looking for a replacement to lead AMSAT’s presence at the 2018 Hamvention. Steve is willing to serve as consultant to assist in the transition, and our booth volunteers are now accustomed to the new location. 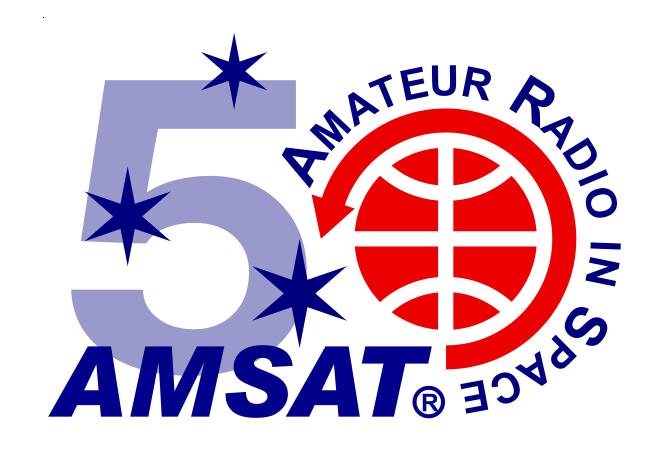 So, if you’re interested in making a difference for AMSAT by becoming our next Hamvention Team Leader, please don’t hesitate to contact me. Nominations for candidates for the AMSAT Board of Directions were due at the AMSAT Office in Kensington, MD, no later than June 15, 2017. Ballots will be mailed to the AMSAT membership by July 15. The AMSAT Bylaws stipulate these dates. As the nomination deadline will have passed by the time most of you read this column, I want to take a moment to discuss the importance of voting for this year’s nominees and the impact that this election has on the future of AMSAT. The Class of 2017 Directors up for reelection for two-year terms consists of Drew Glasbrenner, KO4MA, Bob McGwier, N4HY, Jerry Buxton, N0JY, and myself. In addition, we elect two board alternates who serve for one year. The alternates are fully engaged in board deliberations but are nonvoting. In the event we need to replace a board member, the first alternate will fill that seat until the next election when that position will be open for nomination once again to fill the remainder as needed. The current alternates are Paul Stoetzer, N8HM, and Clayton Coleman, W5PFG. The three board members elected in 2016 for two-year terms will be up for re-election in 2018. At this point, it appears that two of the four incumbents will not be standing for reelection. Bob McGwier, N4HY, has indicated that he does not intend to run because of the time constraints of his professional responsibilities. I also have decided not to stand for re-election as well. It is time to bring the next generation into positions of leadership. I first became a voting board member in 1999, prior to the AMSAT Space Symposium in San Diego, while serving as AMSAT’s Director of Field Operations. I am currently holding the second longest tenure on the board (this is my 18th year), having been elected by the AMSAT membership to nine consecutive two-year terms. Before my election, I was a board alternate. My past 18 years serving on the board have allowed me to directly help influence the strategic direction of AMSAT, including participation in various strategic planning processes, as well as the current strategic planning effort. I have been privileged to serve an organization that has completed some marvelous projects over the years. We have focused on scientific and educational objectives that have kept amateur radio in space despite the external changes taking place around us. These changes have influenced both the types of projects we’ve pursued as well as the financial impacts of those projects. Given that there are two open positions on the board that takes office on September 15, 2017 (when the board election results are announced), a unique opportunity exists for AMSAT members to consider who they want to set the strategic direction of AMSAT. I expect that some “new faces” will be elected to the board. Please take the time to review the candidate’s statements when you receive them in July, and make a decision as to who you’d like to see on the board. Your vote is one of the benefits of AMSAT membership, so please utilize this opportunity. Coupled with my decision not to run for the board, I also informed the AMSAT Board of Directors in 2016 of my decision not to accept another one-year term as AMSAT President when the board meets in Reno, NV, before the 35th AMSAT Space Symposium and Annual Meeting. The reasons for my decision reflect the evolving stages in life that we all go through. I have served as president since 2008, having been elected by the board for nine consecutive terms. Nine years is a long time for one president to serve an organization such as AMSAT. After nine years of a volunteer “full-time job,” it is time for new blood to lead the Radio Amateur Satellite Corporation, not only because “nine years is enough” for me, but also because there comes a time for someone else to bring a different perspective to the office as well as the energy needed to take on new and different opportunities. The skills that I brought to this position in 2008 were helpful in resurrecting an organization that had just hit a low point in its existence. I was willing to help rebuild AMSAT with the assistance of several capable individuals who I asked to take on leadership positions. None was more critical than Tony Monteiro, AA2TX (SK), who served as VP of Engineering from 2008-2014 and developed the strategy of using CubeSats as the best approach for successfully returning AMSAT to space under an affordable and technically achievable program. Tony also provided support for SuitSat-2 (which morphed into ARISSat-1) led by Project Manager Gould Smith, WA4SXM. Though the project schedule was extended for a variety of reasons, ARISSat-1 was deployed from the ISS in August 2011. It marked a huge technical success and symbolized our efforts to restart AMSAT-NA as the Fox program moved forward. Four months later (November 2011), AMSAT submitted its first CSLI (CubeSat Launch Initiative) application to NASA under the ELaNa (Educational Launch of NanoSatellites) program. Our proposal was selected in February 2012, which later became Fox-1A/ AO-85, launched in October 2015. Since the decision to build Fox-1A, four more Fox-1 series satellites have found launches. Hopefully, we will see all five in orbit in the near future. As we’ve moved forward over the last nine years, it is also becoming clear that AMSAT is currently at a crossroads. I’ve noted that in my prior “Apogee View” writings about strategic planning. One of the key guidelines for strategic planning is that those that design and develop the strategic plan should be the ones to implement it. That’s because those with “skin in the game” are more likely to support and help make the implementation process a success. The board and the Senior Leadership Team held a strategic planning kickoff meeting in Orlando this past March, but that was only the first step in a process that could take a year or more to develop and successfully implement. Consequently, a new president taking office this October will be in position to participate and support the planning process and guide the implementation as one who helped design it. Given my decision to conclude my service as president this fall, the board has responsibility for finding the next president. As we approach the end of my term of office, the board is focusing on identifying potential candidates that presumably will have the skillsets necessary to take AMSAT forward to the next level as defined by the strategic planning process. Along with the conclusion of the Fox-1 program, AMSAT finds itself needing to decide what the president is expected to focus his/her energy on and what skills are necessary to achieve the strategic goals developed by the board. For example, how critical is revenue generation (one of the strategic objectives) and are there expectations on the role that the president may have in this area? Is grant writing or developing a capital campaign for the next series of amateur satellites something that the president will need to be leading? What role should the president have concerning “Membership Engagement and Communication,” another focus area identified during the kickoff meeting in Orlando? These are the types of questions that the board will presumably consider as it decides who should lead AMSAT. Lastly, my wife Kathy, WD4ASX, retired from the ministry in October 2016 following 37 years as a Lutheran pastor, which means a change in our priorities, including relocating and spending time in New England and Texas to be near two sets of grandchildren. Those opportunities coupled with wanting to have time to complete a satellite station and operate HF also means having time to actually focus on amateur radio rather than manage an amateur radio organization. Retirement also means being able to travel and being more flexible in how we spend our time. We’re not getting any younger, and the desire to be able to redirect our priorities is important as we move into a new stage of our lives together as we’re in our 42nd year of marriage. In the meantime, we celebrate our recent successes (such as Hamvention), plan for those activities taking place later this year (such as the AMSAT Space Symposium in Reno, NV), and focus on preparing the organization for a transition reflected both in the election of a new slate of Board of Directors and preparation for a transition in the Senior Leadership Team.